The Chairman, House Committee on Oil and Gas in Warri South -West Local Government Council Legislative Arm, Hon. Emiko Odin Etuwewe has raised alarm over the washing away of Benin River Communities of Warri South -West such as Bateren, Orere, Bobi Olobe and Deghele by Ocean Surge as well as recurrent flooding. The lawmaker who represents Bateren Ward in Warri South -West legislature, raised the alarm when he led a delegation on behalf of State (Delta) Emergency Management Agency, SEMA and Chairman of Warri South -West Local Government Area, Hon. 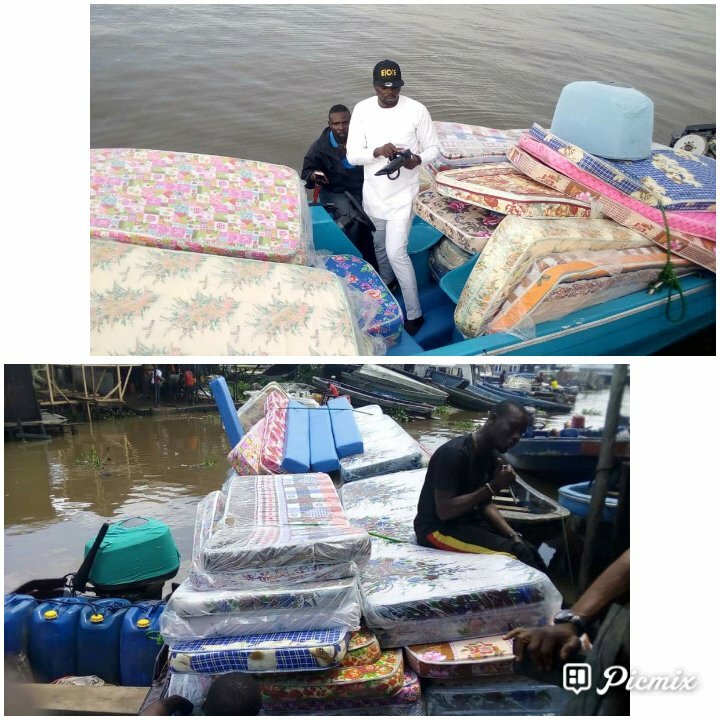 Taiye Duke to present relief items and foodstuffs to flood victims in Bateren, Orere, Bobi Olobe and Deghele Communities. Hon. Emiko Etuwewe while thanking the member representing Warri South -West Constituency in Delta State House of Assembly, Hon. Daniel Mayuku "for surviving people of the affected communities for the past 15 years", commended SEMA for the relief materials and Hon. Taiye Duke for assisting with the food items. He appealed to the relevant Federal and State government agencies to immediately award contract for shore protection of the affected Benin River Communities, especially Orere area, to save the communities from extinction.